QMobile brings latest Smartphone with phenomenal features. 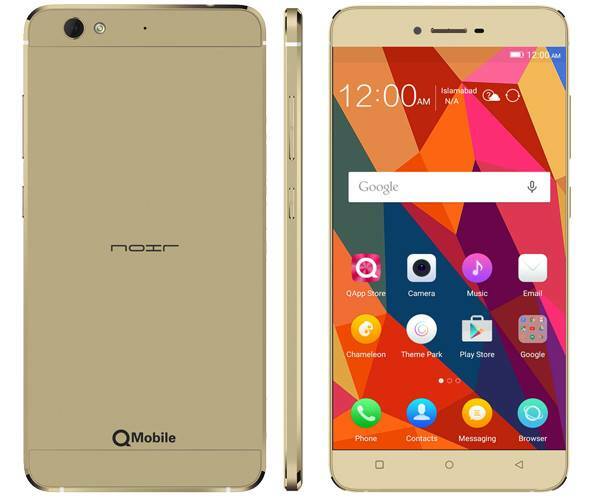 This is mind-blowing Smartphone has launched by Q-Mobile for its valued customers. It provides some unique technology in this launched hand-set. The latest feature is included in this hand-set is face detection lock yes now you can lock or unlock your hand-set through your own face. This is latest technology has generated in this hand-set for mobile security. It gives light weight body and sleek shape structure in this launched hand-set. It gives all facilities Smartphone in this launched cellular phone. Customers can avail fastest processor Octa-Core 1.3 GHz for using multiple-things. Android OS V5.1 Lollipop system is attached in this Smartphone for using and it also gives dual sim option for using two sim connections in a same time without any issue. QMobile Z12 mobile gives 3GB Ram with 32 GB built-in memory facility in Smartphone and this is not enough it is also supporting external memory of SD card up-to 32 GB. It has included 13 mega pixels rear camera with unique facilities like face-detection, touch-focus and smile-detection options. This is complete Smartphone with attractive body look and customers easily attract for buying this product after seeing it. If someone really wants to use a reliable Smartphone with quality of features so this is one of perfect hand-set for all these kind of cellular buyers. The complete details of feature are also available in the below. System: Android OS V5.1 Lollipop. Processor: Octa-Core 1.3 GHz, Mediatek MT6753. Rear Camera: 13 mega pixels. (LED Flash). Front Camera: 5 mega pixels (Night mode). Display Screen Size: 5.3 inches. Bluetooth, FM-Radio, GPRS, WiFi- Hotspot, USB, WLAN, G-sensor. Audio: 3.55mm audio jack, Mp4, Mp3, WAV Player. Messages: SMS, MMS, E-Mails, IM, Push E-mails. Ringtones: Polyphonic tones, WAV, Mp3. Other Features: Dual-Standby, Micro sim-card, touch-focus camera, Google maps, HDR, Video/calling service, Professional shot, A-GPS support, external SD-card support up-to 128 GB, Speaker-phone. Latest Features: Multi-touch screen, Face-detection lock, sleek body structure, Face-beauty camera, Corning gorilla glass display 3, OTG supports.